Hyosung Corporation is a South Korean industrial conglomerate, founded in 1966. It operates in various fields, including the chemical industry, industrial machinery, IT, trade, and construction. It is known in Korea mostly for high-end apartments and automatic teller machines. Buoyed by the success of the Gixxer siblings, Suzuki Motorcycles is now planning to bring in the 250cc version of the bike in India. To be pitted against the KTM Duke 200, the Suzuki Gixxer 250 is likely to be unveiled at Delhi Auto Expo in February, 2016. This entry-level sports bike will target biking enthusiasts looking for affordable quarter-litre sportsbikes. It’s no secret that TVS-BMW Motorrad JV has been working on a range of sub 500cc motorcycles for several markets including India. In October 2015, the JV had unveiled its first product in the form of a concept – the G310 Stunt – in Brazil; and now the production-ready version of the bike has been revealed officially. Called the BMW G 310 R, the naked bike has been developed in Munich by BMW Motorrad with the help of TVS Motor Company. For the Indian market, the TVS-BMW G 310R will be developed at TVS Motor Company’s Bengaluru based plant. It will also become BMW’s first ever bike outside Europe. 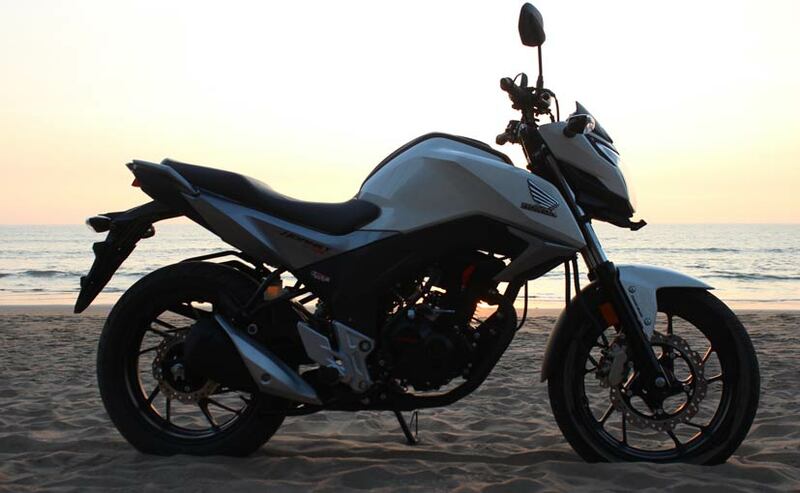 Bajaj Auto recently stunned everyone at the 2014 Auto Expo with the unveiling of its concept cruiser, the Pulsar CS400. Touted to be the first cruiser sports from the Pulsar portfolio, it carries the Pulsar 200NS silhouette but is considerably big in proportion. The Pulsar CS400 gets a very aggressive front with a new headlamp doing the duty. The tank is muscular and it also sports a digital console and gear shift indicator with white backlight. Hero MotoCorp unveiled their first quarter-litre motorcycle, the HX250R, in early 2014 just before the Delhi Auto Expo. While a majority of motorcycles showcased by Hero MotoCorp at the biennial event were highly innovative and futuristic, the HX250R stuck to the traditional norms of motorcycling and seemed to be one of the most production-feasible motorcycles among the bunch.